Proper formatting of anything is necessary to get better outcomes for all your projects and with a large base for font selection, you’ll be left with a lot of choices for decoration and designing works. Most of these fonts are a result of professional graphic designing and people love to see better-looking designer fonts for their online and print works. The font lists provided by Windows and other OS platforms aren’t enough to carve out a professional output for your works. Hence, the water font list is acceptable to get creative solutions for different purposes. You can also see Free Fonts. The premium template for fonts is available in regular and bold letter versions with simple and creative writing style. These fonts are ideal for personal uses or for kid’s magazine, coloring books, and handwriting illustrations. The vector abstract water font is perfect to look at and is a fine solution to add high-resolution characters to the project. 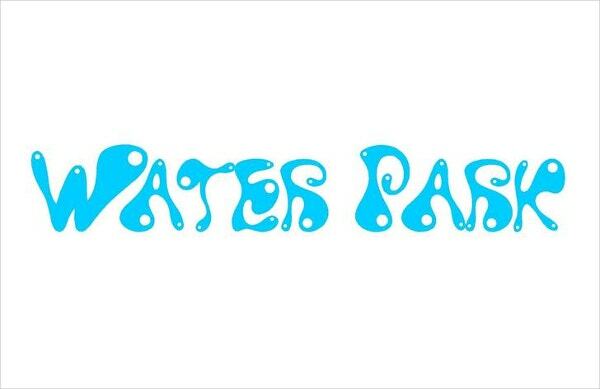 The blue color water fonts can be downloaded in various sizes as well. 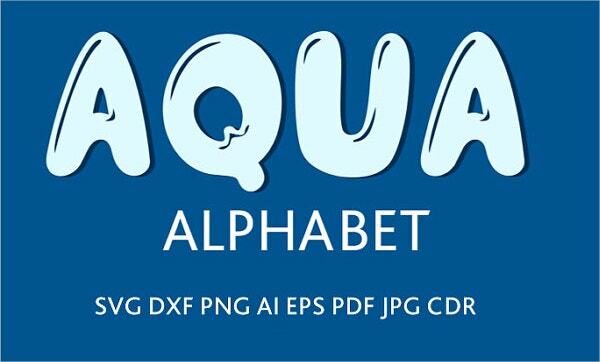 The Aqua water font alphabet lets you add a wet touch to your projects. The template is available in 8 different formats. From the interior designs and household items to business branding and decorations, these funky looking alphabets are the perfect solution. 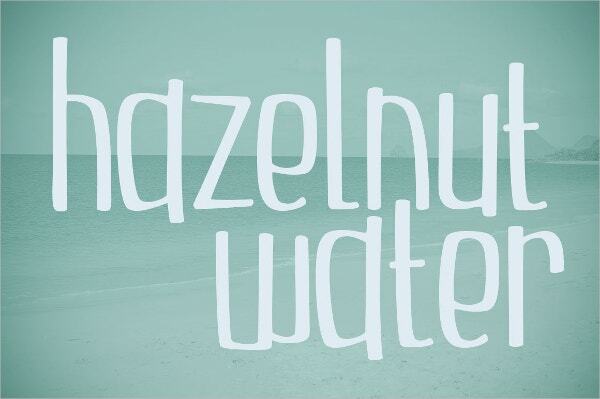 Hazel nut water font is a playful font with comic looks which works great for texts and headlines. All fonts can be used in different shapes and sizes. This is a fine water font for business promotion, branding, and other similar projects. 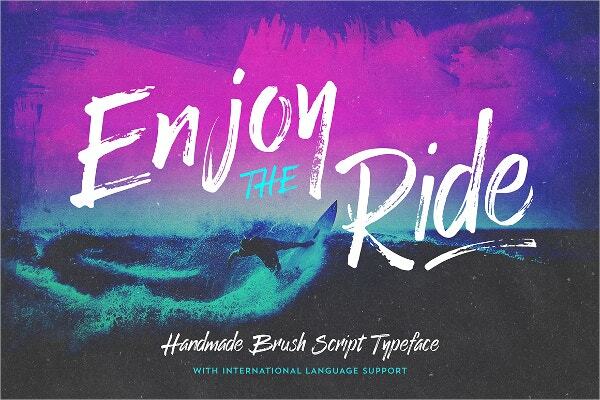 Much similar to the wave font design, waver adds a little bit of flashiness and trendy patterns to your advertisements and promotions. The designer template is good for amusement parks and resorts. 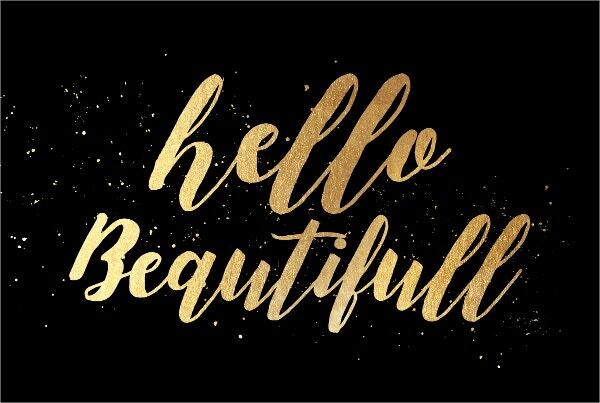 Blanca is the all in one script template meant to create a first good impression on anyone who checks it out. The template is packed with features like Blanca ttf and otf, 4 additional bonus fonts, and watercolor texture. Peir Sans water fonts are a combination of fine looking themes that let you add a glamorous touch to all your projects. With the included zip files, you get a wide selection of different formats that are compatible with different files and programs. You can also see Stencil Fonts. 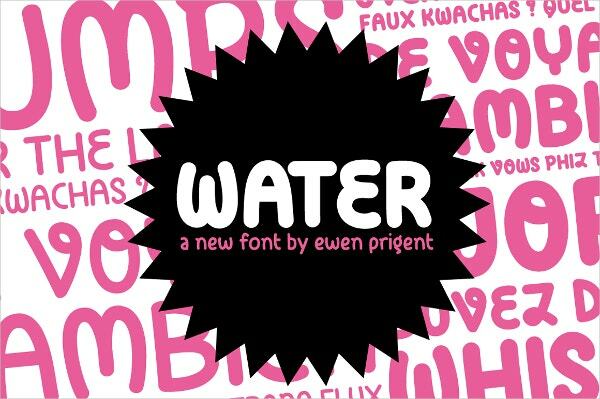 These creative looking water fonts are great for making posters, logo marks, t-shirt designs and other things with a personal touch. The font wave is characterized by intricate details and curved lining. Original illustrations are individually used for making real illustrations. The template uses typeface mainly on the uppercase letterforms. 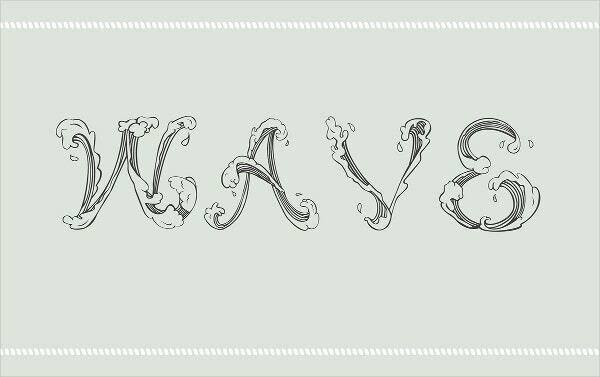 These waterfonts are inspired through illustrations of large waves. 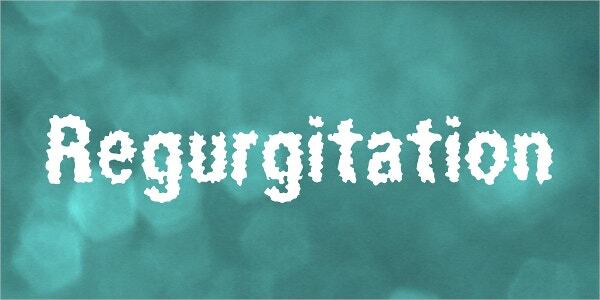 The watery looking font styles you get with Regurgitation theme are perfect to add to all sorts of projects. You get all uppercase and lowercase letters with all numbers and commonly used symbols. The creative template water park is perfect for both personal and commercial use. The bubbly looking letters add a comic feel to the theme and would work well for kid’s amusement parks, pools and beachside resorts. The updated version of Wishful waves makes it great to use the template for personal as well as commercial uses. 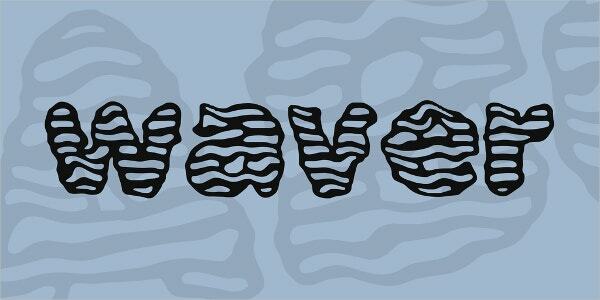 All letters are warped with wave symbols and are also outlined with a poster black bordering. 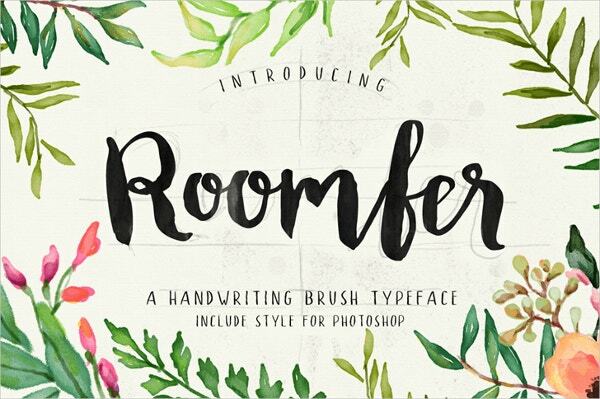 For anyone who looks for a rich looking and beautiful template, roomfer would provide them with an absolute style and artistic flair with its perfect brush typeface design. The painted like template can be used personally and commercially as well. 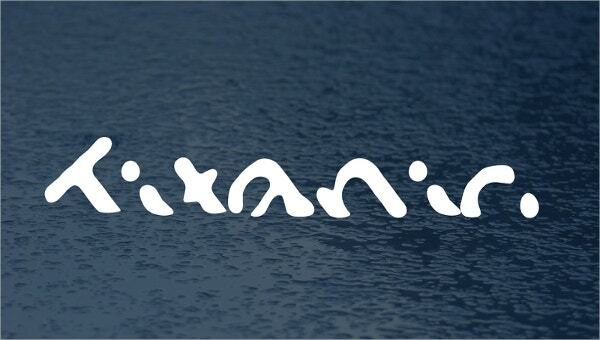 As implied by the name, Titanic water fonts have the impression of sinking fonts that can be used in a number of situations. It would be a wise choice to get the water fonts for all your running and upcoming online and offline projects that you wish to promote in the most innovative ways. With the free to download fonts for Mac and Windows OS, you get a large collection of OpenType and TrueType font families that mostly get categorized in alphabetical order. 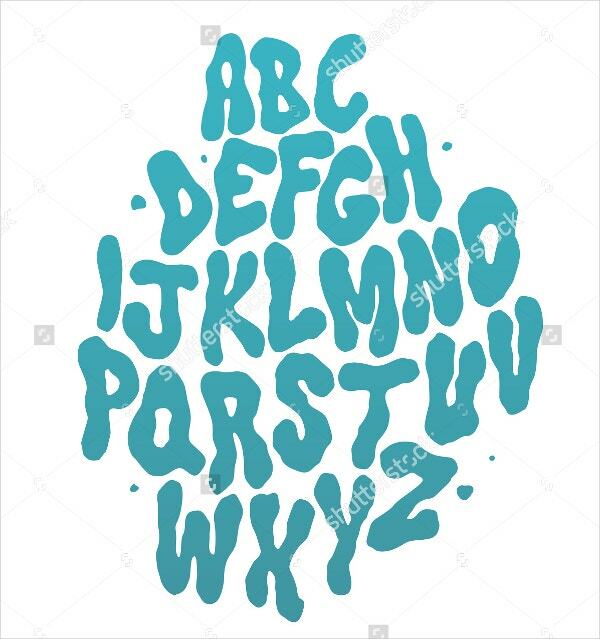 Each water font is unique and helps you build a page with colorful and flashy initials that speak out the idea in the clearest manner. You can also see HandWritten Fonts.